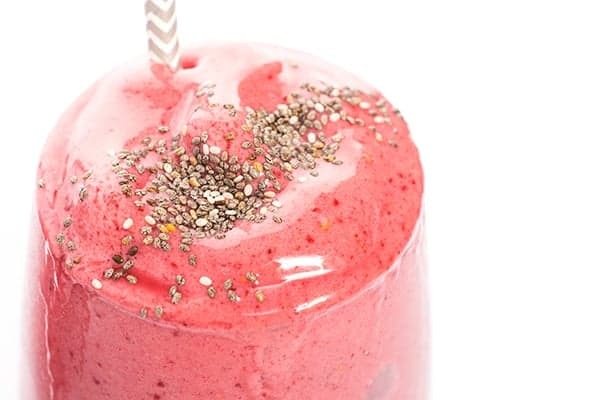 This black cherry smoothie recipe is made with banana, flax seed and chia seeds to create an energy-packed breakfast on-the-go! 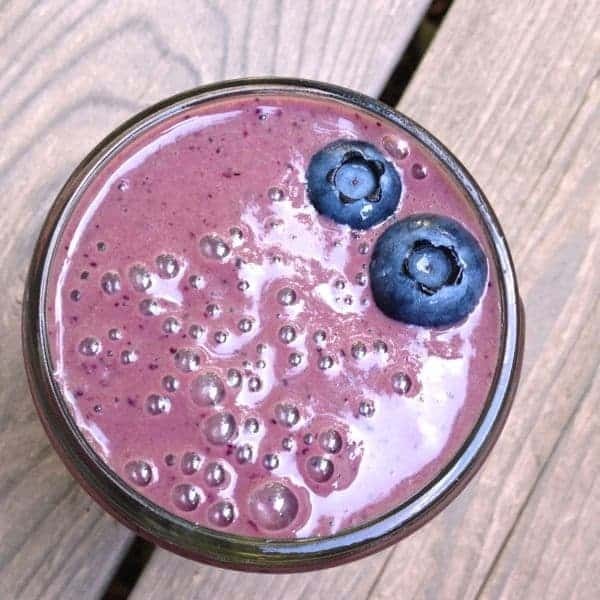 Smoothies are my favorite way to start the day, all year round. I don’t discriminate either – I love chocolate smoothies, green smoothies, layered smoothies – you name it! Recently I paired two of my favorite fruits: sweet black cherries and bananas. Of course, cherry season only lasts a few weeks here in Michigan so I always keep my freezer stocked with frozen, pitted cherries. In fact, we keep all sorts of frozen fruit on hand including strawberries to stir into muffin batter, blueberries for buckwheat pancakes and peaches for my famous Overnight Peach French Toast Bake. 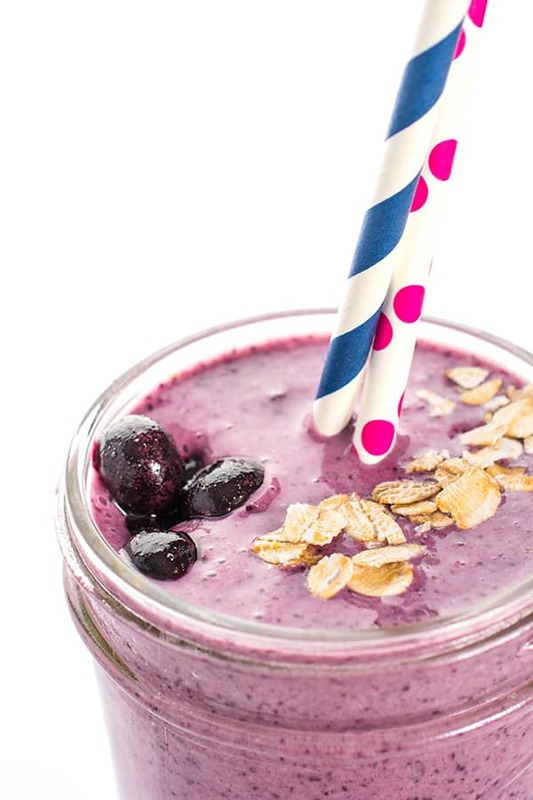 This thick and creamy smoothie is made with plain Greek yogurt, ripe banana, flax seed meal and fresh ginger. 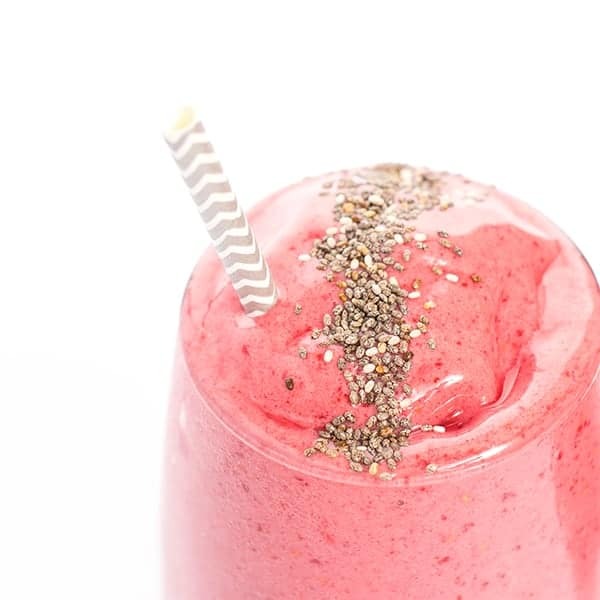 Before serving, I sprinkle each glass with chia seeds to add a crunchy texture to each sip. You’re welcome to blend them in with the rest of the ingredients as well. 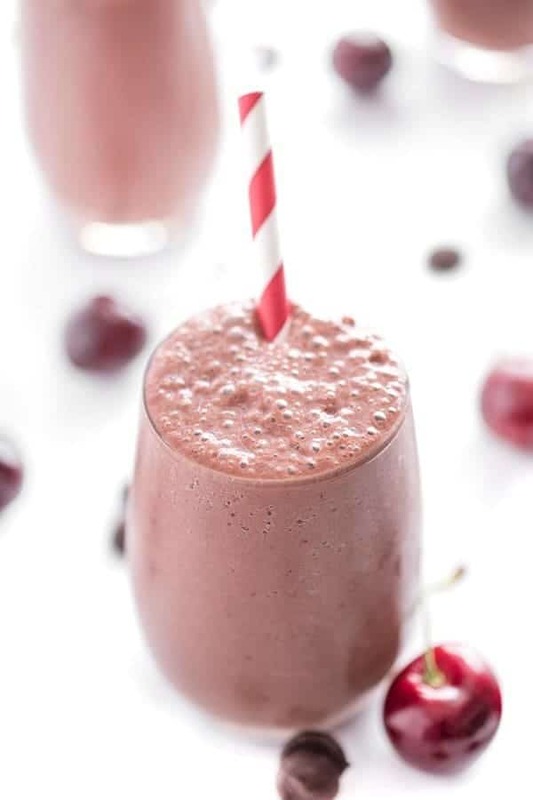 Place banana, cherries, yogurt, ginger and flax seed meal in a high speed blender and puree until smooth. 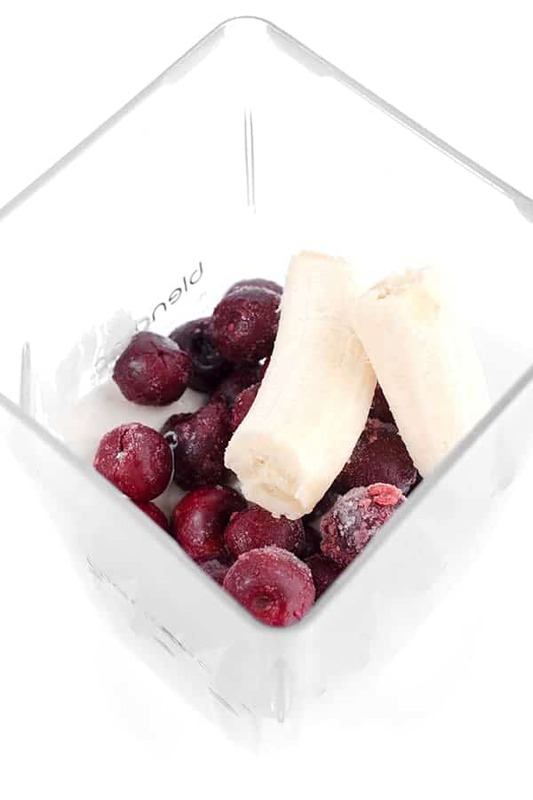 Add ice to reach desired thickness then pour smoothie into two glasses. 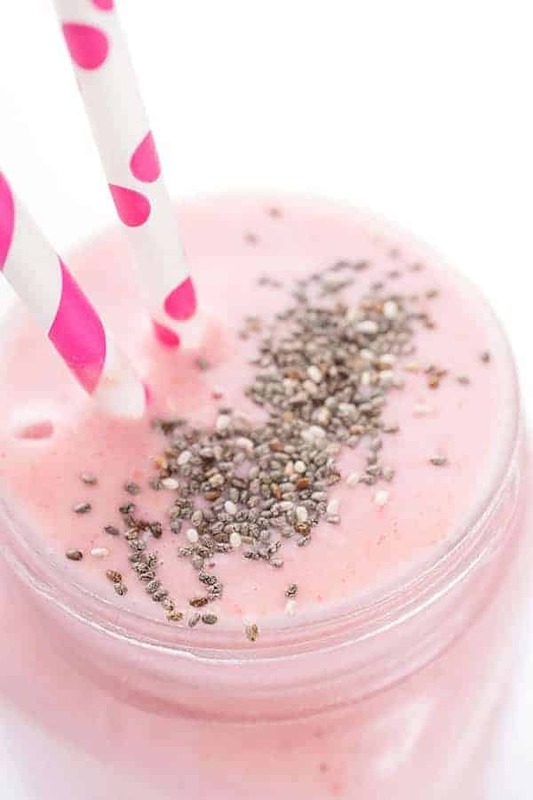 Stir in one tablespoon chia seeds to each glass before serving. 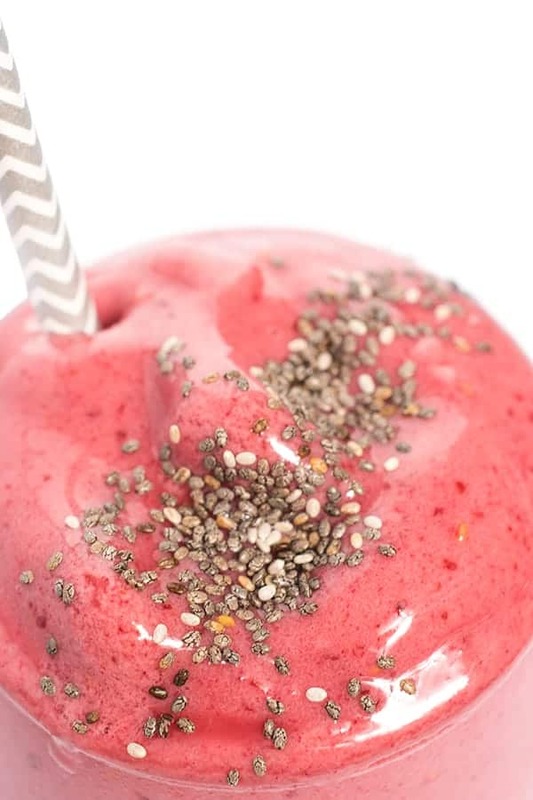 I prefer to sprinkle the chia seeds whole on top of the smoothie and stir it in as I drink it but you're welcome to blend it in with the other ingredients. 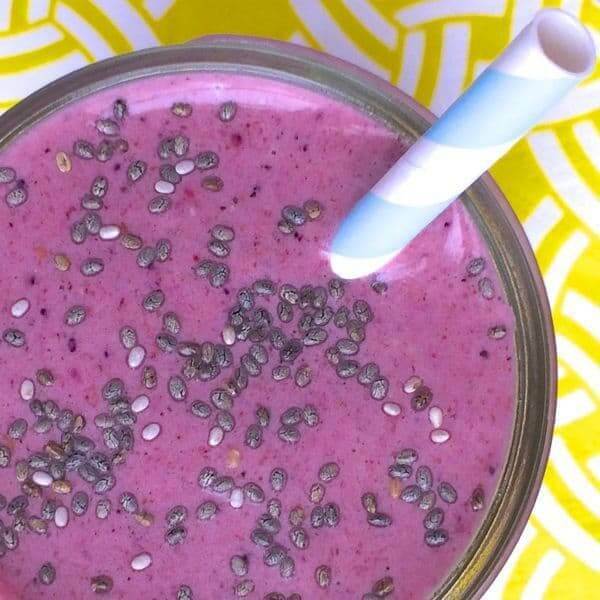 Want more smoothie recipes? Check out my Pinterest board!